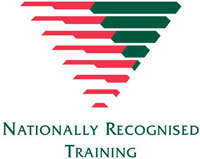 This course is a component of the HLTFA311A - Apply First Aid course, as well as a stand-alone annual refresher course required by many industries in Australia. All dive staff working in Queensland need to annually update and refresh their CPR skills by taking this course. 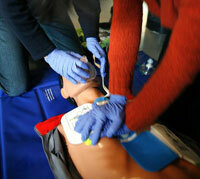 The CPR course is also a required annual update to get on, and remain on, the JCU Dive Register. The course takes the Independent Study Approach which allows us to minimize class time and costs. In preparation for the class, you must ensure that you have refreshed your CPR knowledge using a First Aid manual with the current guidelines (DRSABCDS). If you have version 3.0 of the PADI First Aid at Work manual, or similar, you can download the updated standards by going to the Resources/Downloads page of this website and choosing the CPR Errata, or by following this direct link. In addition to reviewing the current guidelines, students are required to complete the Emergency Care in the Workplace Knowledge Review prior to coming to class. A document outlining these preparatory steps, as well as all downlaodable resources can be found in the Resources/Downloads page of this website.